GoG.com have just sent word that they have now added the old classic Thief 2: The Metal Age to their massive library of games. The story picks up after the events of THIEF™ GOLD. The Metal Age has come to the City. The city has gone fully steampunk and steam-powered robots, cameras, and other cutting edge wonders have been introduced by the Mechanists, a faction raised from the ashes of the Hammerite religion. Although the Mechanists are a new cult, they are led by a former Order of the Hammer priest named Karras, and he is showing the usual Hammerite taste for labyrinthine plots. Not everyone loves the new religion, though, and the City’s people have created a small religious sect in opposition to the Mechanists. The Pagans are a nature-loving sect led by Viktoria, a wood nymph in human form. Their aim is to shun technology and live in harmony with the wild, chaotic natural world. Thief 2: The Metal Age is now available for a thief-tastic price of $9.99 from Good Old Games. Thief: The Dark Project is the best game ever, Thief 2 isn't that shabby either. Hell Thief: Deadly Shadows has some fantastic moments as well. 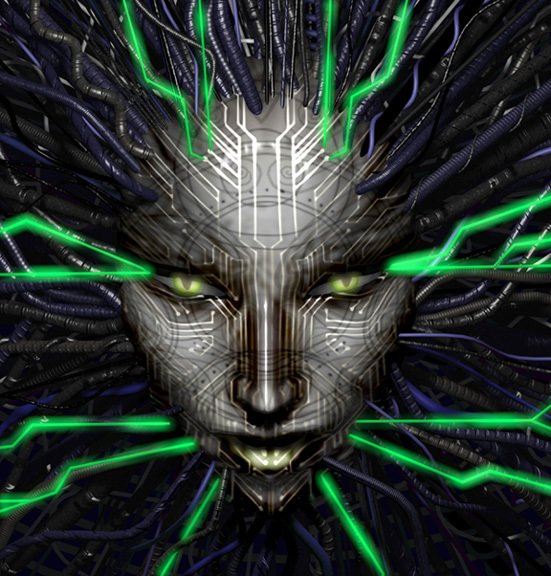 System Shock 2 is a very, very fine game amongst the best ever made - doesn't beat Thief for my money though. Of course I have all those games sitting on my desk here still anyway and they all get regular enough plays. Looking Glass Studies, damn they had good ideas and executed them well, even if at the time, The Dark Engine was no 'Id/unreal' Engine. Looking Glass Studios, one of the best developers to grace the PC. Shame what happened to them. Cool as System Shock 2 is (those f*****g monkeys!) it doesn't beat Thief 2 either for me. Best mission I remember in that game was the bank one, where you had to break into a bank, rob the place silly, get into the vault and you couldn't be spotted. Ah man I'm gonna rebuy this now haha. It appears I've been voted off the island! Not to take anything away from Thief & Thief 2 as they were indeed awesome. I've picked both up as cd copies from a bargain bin somewhere along the way and they're currently languishing in a box. I reckon I'll have to buy them again, partly because the bargain bin price the first time around was too cheap for how great they were, and partly because downloading the digital copy is easier than digging through a shed load of boxes to find the keep cases. While I sort of agree, the leaked story boards seemed to show a male character (though it wasn't entirely clear), and I heard rumours of it possibly being a prequel (Garrett as he starts his thieving career, but that was a very loose rumour). Would it really be thief without Garrett's voice and cynicism though? You are right Nerfy, Garrett is such a strong and surprisingly endearing character. The voice work is what brings him to life, infact the whole Thief series shows that sound was and is integral to any gaming experience and it's not just good sound effects (love the loot sound) but about the combination of voice, sound effects, music and the ambience it creates - which is why Eric Brosius contributed so much to that series of games. My concern is - new studio and Garrett remains but is basically remade into a super ninja assassin, rather than the proficient thief that he is ie where Stealth is a weapon beyond all others and not just a weapon so you can execute a "cool finisher". If Garrett is to be in they sure as hell better have Stephen Russell doing the voice work and the sound, which is integral to that style of game is first class (I'm pretty sure Eric isn't even involved). Would be interesting to see Garrett in his early days - ie immediately post the original breaking with the keepers. Yeah there's definitely a new sound guy, I recall reading that. Though the first known media event about the game was him giving a talk about some new procedural ambient music stuff that he was working on for the game, it doesn't sound like he's treating it lightly (hopefully he pulls off the same amazing ambience). While I loved loved loved the gameplay (particularly of the first two), I'd probably still be content if they took it in a different direction, so long as it was still Garrett in the The City. Otherwise, if they retained the same gameplay, but with a different character, I'd probably still be content - so long as they retain one of the two things which made it awesome. God I miss The City, it was so... terrible. edit: Oh, and they totally need to bring back the amazing cutscenes, Thief 3's weakest point imo was the inconsistency and cartooniness of those (though the trial and gammal reveal weren't bad). There were some amazing tiny tunes which partly made those cutscenes somehow so awesome (hope you guys played thief gold with the extra interspersed stories), so I can definitely see it being a loss without the same music guy.